We think it’s lime pickling time! 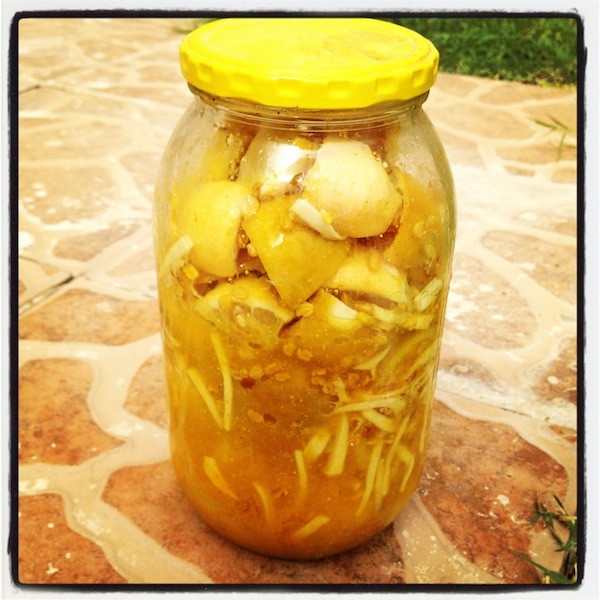 I posted this lime pickle several times on my Instagram and many asked me for a recipe. I am so sorry I took this long. You can get it from here. However, there are few omissions. I don’t add chili because my sister can’t stand the heat and hing (asafetida) because I just don’t know where to find it. Probably at the local herbs and spice store (hawajj)? I never bothered to check and these stores usually intimidate me.